Photo credit: The Local Italy. Raggi has been slammed by mainstream media and Romans alike. 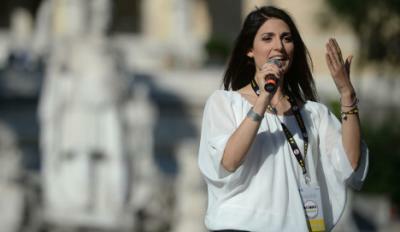 ROME - Virginia Raggi was “ready to restore Rome to the splendour it deserves” in May 2016 upon her municipal election victory. Yet Rome's streets continue to overflow with rotting waste and rampant rodents. Indeed, the Eternal City perhaps better resembles a modern ruin than an ancient one. Raggi’s administrative proposals have been slammed by Romans and mainstream media alike. She has been at the centre of critical scrutiny, labelled a “hot potato” by one publication, “a great disappointment” by another. Yet is it not time we cut her some slack? When Raggi took office, Rome’s infrastructure resembled that of a developing country. Corruption at senior administrative levels was reportedly rife and the indecisiveness of Marino, the previous mayor, didn’t help matters. Many Romans dislike the fact that neither Raggi nor her party fit traditional right-left-wing categories. Her challenge to please Rome’s electorate hasn’t been eased by volcanic comedian Beppe Grillo, her party’s founder. Rome’s staggering 20 billion euros of debt in 2016 effectively torched Raggi’s ‘clean-up Rome’ initiative. The city’s financial instability also forced her to withdraw the city from the 2024 Olympic bid. Previous Olympic host cities have incurred considerable debts, and Rome is already dotted with unfinished infrastructure from previous sporting bids. Yet her decision ruffled a great many feathers among Romans. “People need to be patient,” Raggi insists. Yet she isn’t just a victim of time constraints, but of time itself. Romans’ unbridled anxiety for a mayor offering an alternative to the traditional left-right-wing categories led them to disregard Raggi’s limited political experience. Raggi was doomed to fail in her attempt to please the Romans from the outset, and it is only a matter of time before someone takes her place and is treated in exactly the same way.